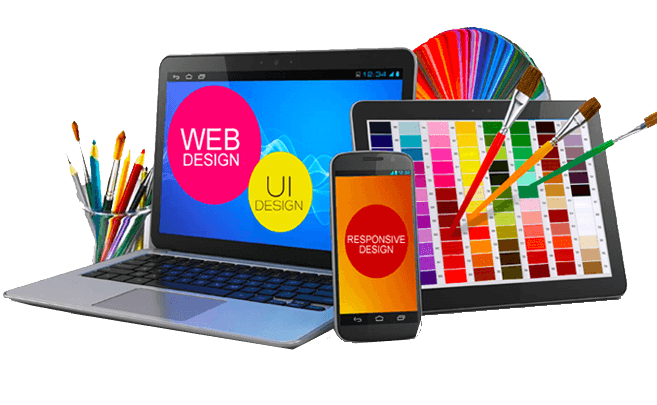 Are you in search of a top Website Designing Company in India? Your search ends here. We have the expertise to design different kinds of websites with complete IT solutions under a single roof. Our Website development service includes Domain registration, Web Designing, Website Content writing, Web Hosting, SEO & SMO Promotions, Payment Gateway Integrations and Digital Marketing. We have designed 750+ websites in multiple programming languages for clients from different sectors. We offer complete IT solutions, support and online branding to our clients. We value our clients and thus go that extra mile to forge strong partnerships. Give us an opportunity to create a unique identity for you in the digital world and relax, we will do everything to give you an edge over your competitors. We have designed 50+ new website samples for you to choose from. Everything is ready - all you need to do is just select sample, budget and share documents to get your new website live in max 7 days. Kindly have a look at our packages and select a suitable package as per your budget and requirement. You can buy package Online or Contact Us for any query. 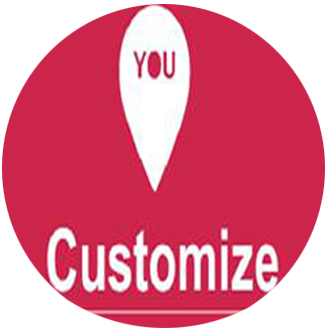 We tailor our web designing services to the varied customers’ needs to enable maximized effect at optimized cost. 1 Free Domain .com, .org, .in etc. 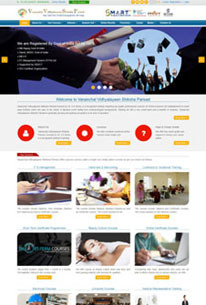 10 Pages Website like home, aboutus, etc. 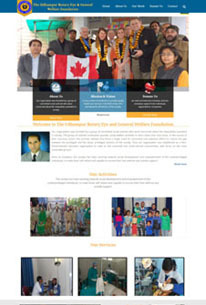 15 Pages Website like home, aboutus, etc. 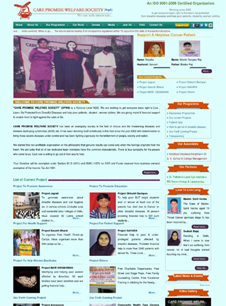 20 Pages Website like home, aboutus, etc. 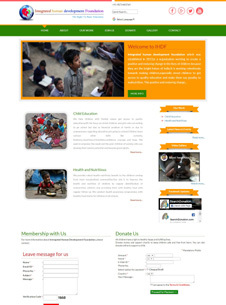 30 Pages Website like home, aboutus, etc. What is the process to start service? Once our billing team confirms the payment, our support team will contact you. Support team will provide you a website form to send us details of your organization for designing website, creating social media accounts, integrating payment gateway, etc. After the website is hosted, we will integrate payment gateway and will initiate work for social media promotion. The complete process will take max. 15 days then full year we will work for promotion as per the package selected by you. Show me sample of websites designed by you? 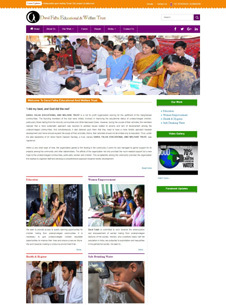 How to submit documents online to start work? You can choose any mode of payment - offline through cash or cheque or online through debit/credit card or our payment gateway. Account Name : Sahaniya Technologies (OPC) Pvt. Ltd.
What documents would I have to give to design my website? We only need your organization's information- contact details, bank account details, your organization’s activities /work/services, images, videos and existing website, if any, to design website. You can send other documents for uploading on the website. What types of payment gateway will you provide - national, international or both? We provide both types of payment gateway. It will depend on the package selected by you; kindly check from the package list. How much time will it take to complete the website work? 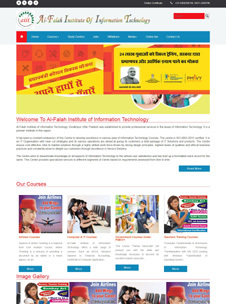 If you have furnished all the information/submitted all the documents related to website designing then we will take max 7-10 working days for developing the website and all the work related to promotions, payment gateway integration, etc. will take max 45 working days. Who will manage my social media accounts and networking promotions? We shall provide you with user id and password so that you can manage your social media accounts website or you can send us details to upload on Social Media accounts. Can we update our website ourselves? 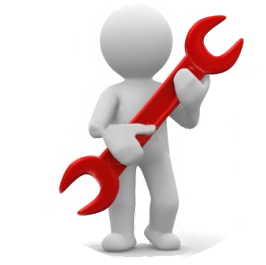 Yes, we will provide cpanel login to you so that you can update the website yourself. Can I pay service charge in installments? Yes, you can pay in installments for some of the services. We take 10-20 working days to deliver services. So, as an advance you can pay min. 30% of the service charge, rest amount you can pay in 2 installments within 30 days of service delivery. However, for making payment in installments, kindly get approval of our sales team. What will we have to pay for renewal after 1 year or annual maintenance? This will depend on the selected package; kindly visit package details for the renewal/maintenance amount, if applicable. If we require any modifications on the website then who will do it? If you will update then how many times will you do it and would it be free of cost or chargeable? We offer to do the changes for free all year round. You can change/add images, news, blogs, videos etc. yourself; however, if you are not able to do the changes, then send us and we will update the same free of cost 2 times in a month. In case if you want some extra pages that will depend on the selected package or that may be chargeable as development has no limitation. Will you give me complete access to the website? This is your property so of course we will share complete user id and password of the admin through which you can update website yourself. May I visit your office for more details and discussion? Yes, you are most welcome. However, kindly schedule a meeting with our sales executive atleast 1 day prior to your visit as we want to devote full time to explain our products/services and resolve all your queries. 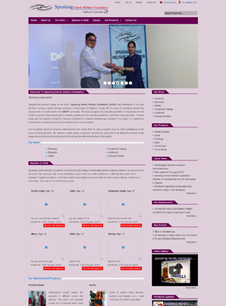 Sahaniya Technologies (OPC) Pvt. Ltd. is the best Website Designing. 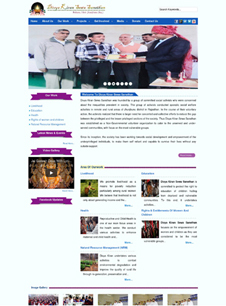 We are Website Designing, YII Framework Website Designing , Joomla Website Designing, Wordpress Website Designing, Static Website Designing , DynamicWebsite Designing , Customised Website Designing , CMS Website Designing , Website Designing in PHP , Responsive Website Designing , Mobile Responsive Website Designing , Landing Page Website Designing , redesigning website etc. 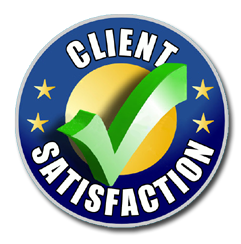 We provide 100% satisfaction to our clients related to flash, logo, theme, colors, google search bar, website tools etc. at very low cost price under their budget.